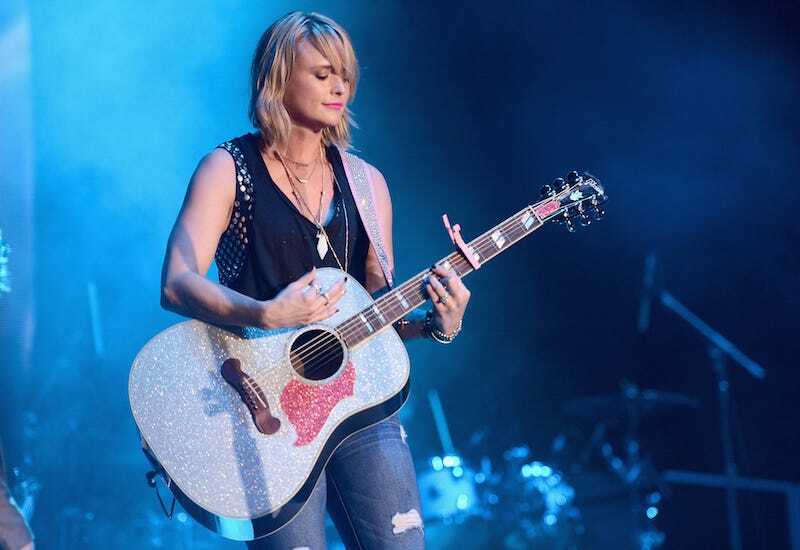 A woman calling herself “Brenda” could possibly be going to prison after she admitted to hacking Miranda Lambert’s email and selling the contents of the country star’s messages to tabloids, bringing more and more information about Lambert’s alleged cheating on ex-husband Blake Shelton to light. But it turns out that a lot of the info about Lambert’s infidelity was wrong. In Touch—the outlet that notably broke the Duggar molestation story—reports that they spoke to Brenda, who has absolutely no problem getting into and spreading around the business of strangers she doesn’t know for malicious reasons, and discovered that the woman (who initially claimed to have gotten Lambert’s password from a friend) had hacked into the singer’s account by cracking her password—something that seems like it might have taken a long time and a lot of effort (more effort than most could ever put into the marital affairs of complete strangers). Then, when she got into Lambert’s email, Brenda took the information and sold it to tabloids (although In Touch wants to make it clear she didn’t sell intel them; they cut off all contact with her). But that didn’t stop tabloids from adding their own information, blowing the infidelity claims out to gargantuan proportions. The information in the tabloid was supplemented with additional material, In Touch has learned, much of which has been proven to be inaccurate. The most explosive information “Brenda” says she obtained from hacking Miranda’s account was not published. Fortunately, Brenda’s career in hacking may be very short-lived. According to a lawyer who specializes in internet-related crimes, Brenda may not only face prison time (and it wouldn’t be a short sentence) but civil suits worth millions of dollars brought against her by Lambert. Sounds about right. Now the only questions are whether In Touch will turn Brenda’s information over to any law enforcement and whether Lambert can sue Brenda per email. In Touch is not down with the hack, but published a limited amount of information about it online, asking readers to purchase the magazine at newsstands to get the full story.